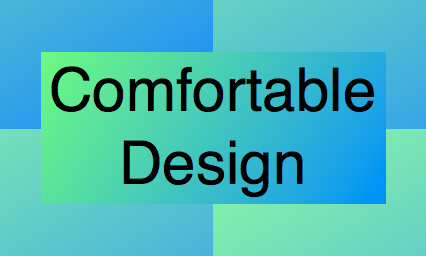 I am so grateful for comfortable design. People are paying attention to what works best. As we progress in furniture designs to designing our conversations to really supporting one another, we are making our life designs more comfortable. A comforting solution to a problem eases the rest of the day. When we design our day, we can make it as comfortable as possible so we can be the most productive. What works for each individual will vary according to their experience and comfort levels. I am learning to take the time to make myself more comfortable. I am also becoming more aware of other people’s needs and styles for their comforts.